Fixed teeth in 3 days : All on 4 technique of dental implants. Can you get fixed teeth and that too in three days? Well, implant dentistry has come a long way with development of new and better procedures for giving fixed teeth to patients and All on 4 technique is one of them. In all on 4 technique all the artificial teeth in the jaw upto the first molar are supported by just 4 dental implants in each jaw.These implants after being placed in the jaw bone are then connected to each other with the help of a circular bar thus making them one single unit kind of like RCC structure in the construction of a building where individual TMT bars are connected to each other. 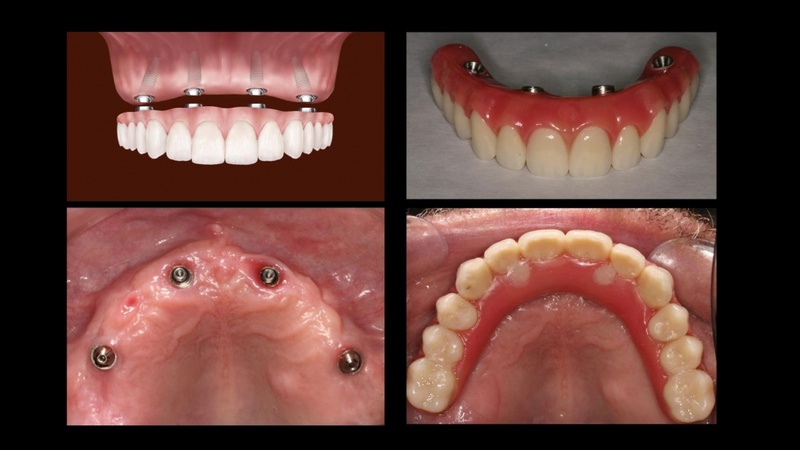 Cases which have been refused by other implant surgeons can be done with this procedure. Patient gets fixed teeth with in 72 hour of placing the implants in the jaw bone. So if you are short of time and want fixed teeth immediately then fixed teeth in 3 days with all on technique is the solution you should opt for.